Northeast Comic Con and Collectibles Extravaganza is pleased to welcome movie and television star Chase Masterson to join the fun at the June 18-19, 2016 event at Shriners Auditorium in Wilmington, MA. The fandom event features exhibitors of pop culture collecting, cosplay, video gaming, panels, live entertainment and celebrities signing autographs. Chase Masterson‘s first major role came in 1994 as Ivy Lief on General Hospital. She then spent five years portraying the Bajoran Leeta on Star Trek: Deep Space Nine from 1995 to 1999. Her prominent featurefilm roles include starring as a sultry singer in James Kerwin‘s sci-fi film noir Yesterday Was a Lie, which she also produced, and voicing “Janice Em” in the animated film Robotech: The Shadow Chronicles. Her television guest-starring roles include ER and Sliders. Masterson as a singer has released two commercial records including 2011’s Yesterday Was a Lie and 2012’s “Burned With Desire. In addition, she has released several independent jazz CDs including Thrill of the Chase, whose title is a play on her stage name, the follow-up EP AD ASTRA! (Latin for To the Stars! ), the limited edition Crystal Anniversary: Songs from the Holosuite in honor of Star Trek: Deep Space Nine’s fifteenth anniversary, and the “greatest hits” compilation Jazz Cocktail. In 2004, as a result of her genre work, Chase was named one of the world’s “50 Sexiest Women” by the men’s magazine Femme Fatales, and the “Favorite Science Fiction Actress on Television” in a TV Guide reader’s poll. In December 2009, AOL named her one of the “Ten Sexiest Aliens on TV”, reporting that “Masterson is regularly voted the most popular guest at Star Trek conventions. 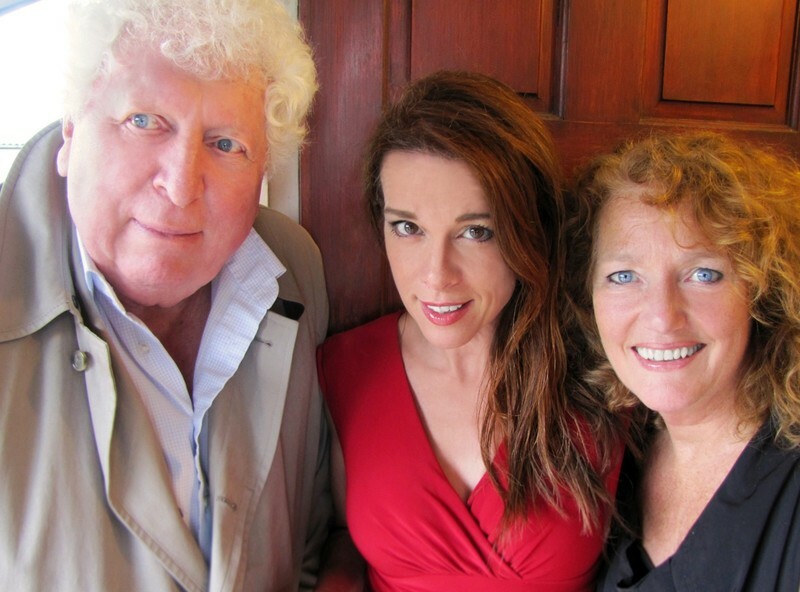 Chase appeared in two Doctor Who audio adventures from Big Finish Productions, including the audio drama “Night of the Stormcrow” with Tom Baker. In 2010, she voiced the role of Leeta, as a hologram, in Cryptic Studios’ Star Trek Online. In 2013 she co-founded the Pop Culture Hero Coalition, a non-profit organization speaking out against “bullying, racism, misogyny, cyber-bullying, LGBT-bullying, and other forms of hate” whose mission is endorsed by Northeast Comic Con. Chase Masterson will be appearing both days during show hours, Saturday June 18 from 10 am until 6 pm, and Sunday June 19 from 10 am until 5 pm at the Shriners Auditorium, 99 Fordham Rd., Wilmington, MA, 01887.